BodyMedia Link Armband is an amazing little computer that you wear on the back of your arm and it reads your body through sensors and monitors your activity level, calories burned and sleep patterns. 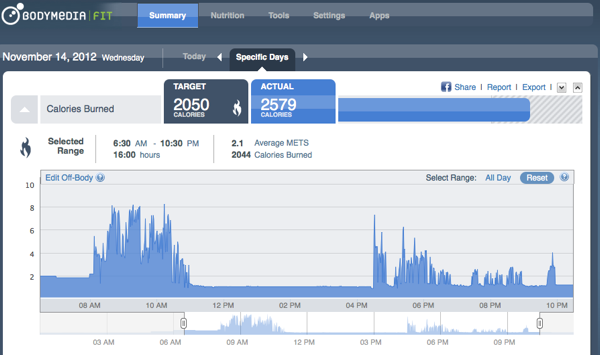 Along with it’s online activity manager, you are able to track your exercise, sleep, activity level and calories burned. The armband is only a few inches big and comes with an adjustable strap so you can wear it securely on the back of your upper arm. It’s easy to use and doesn’t require a battery, as it charges using a USB cord through your computer. 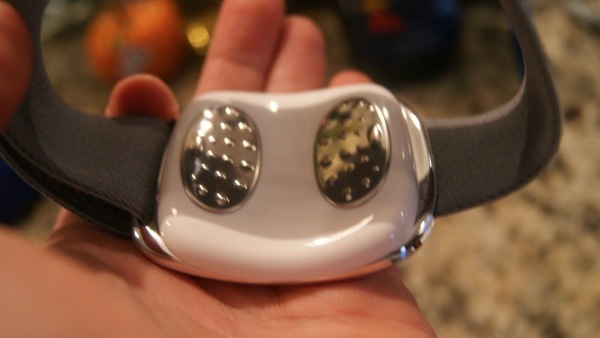 The back of the device has two sensors that monitor your heart rate, activity level, steps taken and sleep patterns. 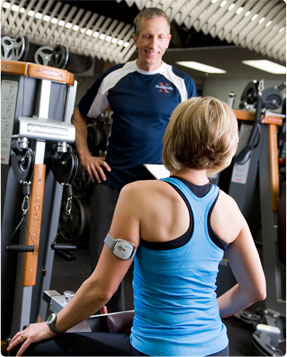 The idea is that you wear the armband all day, everyday to track your body and learn more about it. I have been wearing a heart rate monitor for years, and I love it so I was excited to see how the BodyMedia armband was different. I wore the armband for a few consecutive days, through teaching classes, daily life and training clients. The results that were given to me when I plugged the armband to my computer were really interesting. I was very impressed with how much the armband could do and tell about me. The activity manager, where you read the results, was easy to use and gave detailed graphs and numbers. Here you can see what I guessed I would burn in a day to what I actually burned. Here you can see how much physical activity I did (this was a day I went shopping at the mall after teaching a class) and how many steps I took. * I didn’t sleep in the band this night so the sleep was not acurate. Also note, I don’t count calories so the calorie balance is not correct because I did not have an actual number of calories consumed logged. Here is a picture of how I burned calories throughout the day. This particular day (every Wednesday) I teach two classes back to back so my calorie burn was very high from 8:30-10:30 then I must have taken the band off to shower and didn’t put it back on until after 4pm. I thought the physical activity graph was really neat too! This day I taught class at 6am and “moderate” and “vigorous” activity. This was the day I went shopping at the mall and apparently there was some vigorous shopping action that took place around 11am. Another interesting graph was the sleep graph. You can see my goal was to sleep for 8 hours but I only slept for 6:40. The dark gray part is where I am sleep hard and the light gray lines are where I was awake in the night. 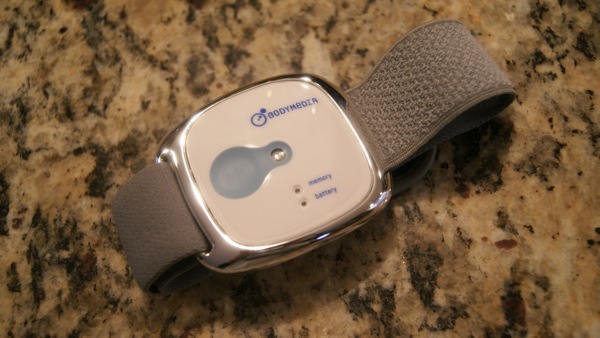 Overall, I think the BodyMedia Link Armband is an amazing device. 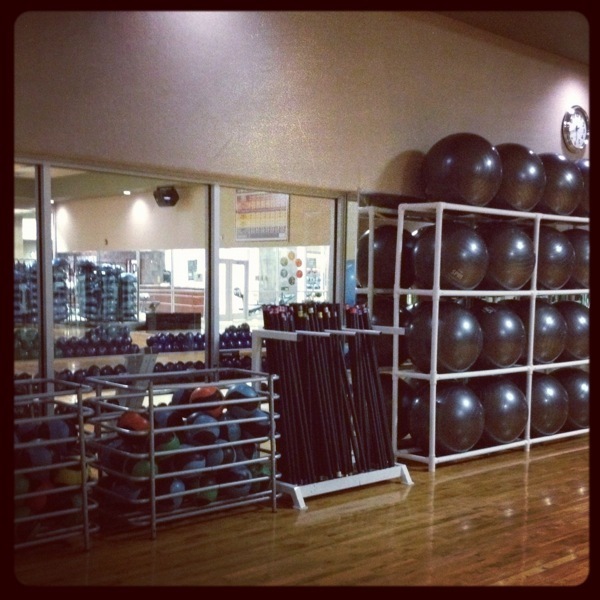 I am excited to start using it with some of my personal training clients. I think it can help you understand your body on a whole new level. I would be happy to answer any questions you have about it. * This product was sent to me to review. All ideas and opinions are my own. That sounds like a great product to help me keep tabs on how I am doing as I run or do martial arts. Thanks for the great info! It really is! I was so impressed with it!